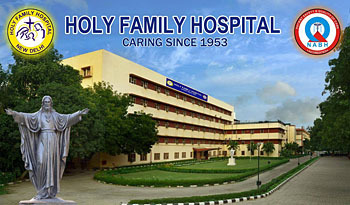 Holy Family Hospital is one of the prevalent hospitals in Delhi offering health care facilities to countless patients every year. It is situated in Okla main road, Jamia Nagar, New Delhi. This hospital was founded in the year 1955.The hospital was built by a spiritual body, the Medical Mission Sisters. Holy Family Hospital in Delhi is celebrated for maintaining high quality and standards in both nursing and medical facilities. It is a 300 bedded hospital offering modernized medical opportunities for patients coming from far afield. Why travel for health treatments? Medical tourism is simply the procedure of traveling abroad to any particular destination to get certain medical techniques. Medical tourism (also called medical travel, health tourism or global healthcare) is a term originally devised by travel agencies and the mass media to designate the speedily-growing practice of traveling across global borders to get health care. Medical tourism India has become a gigantic industry and it is dignified for growth. Every year, thousands of medical tourists from diverse nations visit India for numerous treatments and surgeries. The numbers are anticipated to go higher in the near future. Professionals attached with health care delivery system envision patients coming for the treatment of their complications to a capable reliable institution from outside world. Individuals visiting India are not only patients, but also, guests keen to explore India. Besides medical treatment they come to know our opulent culture, hospitality, tastes, places of tourist interest and business goods.